Groove Riddim, Distant People ft Natasha Watts, Andi Rivera, Robert Owens, Domini Jacobson, Dolls Combers, James Lavonz and more. This month sees a darker edge to the first half of the show with deep cutz from Turntable Bros, Ross Couch, Soulbridge and Andi Rivera with Robert Owens. John Khan and Earl Tu Tu drop a new mix for Distant People ft Natasha Watts and we dig out a classic Frankie Knuckles number with Full Intention on the buttons as we mourn a great loss to the scene. 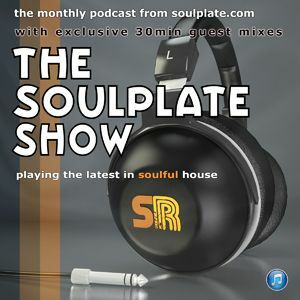 This month we welcome SA&apos;s own Andy Soul to the show dropping a melancholy soulful mix with more than a touch of class.